Friday, January 18, 2013 >>> a Love Kills reunion show! 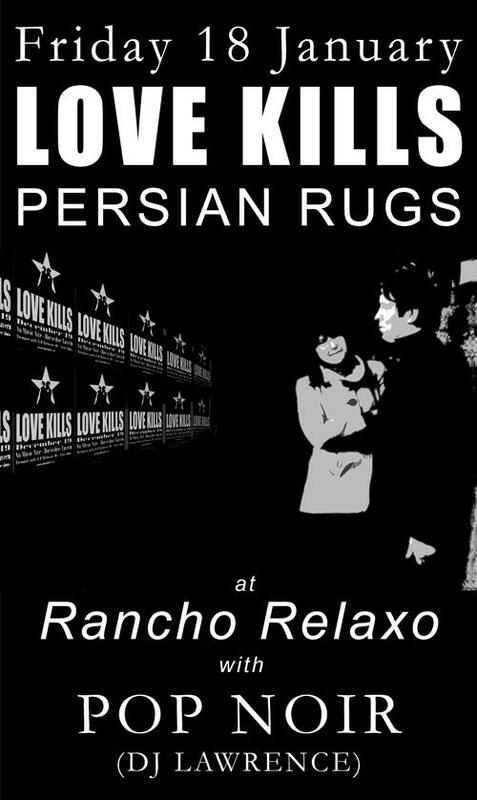 Love Kills, a fuzz-pop outfit that was a force to be reckoned with back in the day, are reuniting for a one off gig at Rancho Relaxo. We will be supporting them and tunes will be spun by DJ Lawrence of Pop Noir – the long running DJ night also from the mid-to-late 2000s. 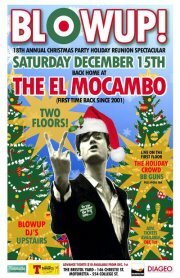 Saturday December 15, 2012 we are very very excited to be playing the BLOWUP 18th Annual Christmas Party Holiday Reunion Spectacular! 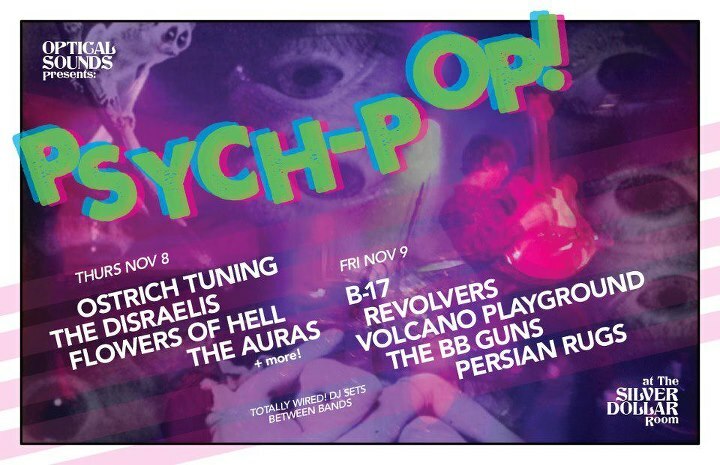 The legendary britpop/60s mod dance party has come back to it’s spiritual home for this year’s celebration – the El Mocambo. Taking up both floors of the El Mo with DJs and bands (including BB Guns, Holiday Crowd), this is going to be a crazy night you won’t want to miss. The Bristol Yard – 146 Christie St.
is a snapshot of the city’s under the radar indie-psych-shoegaze scene with a tracklist selected by Will Carruthers (Spacemen 3, Spiritualized, Brian Jonestown Massacre). The compilation pulls together groups who self release their material under the Optical Sounds banner along with other acts in the city who gig regularly with them. We are proud to be a part of this comp and will be part of the 2-night bash Optical Sounds are throwing to launch this release. With DJ sets from Optical Sounds TOTALLY WIRED! DJ Crew.